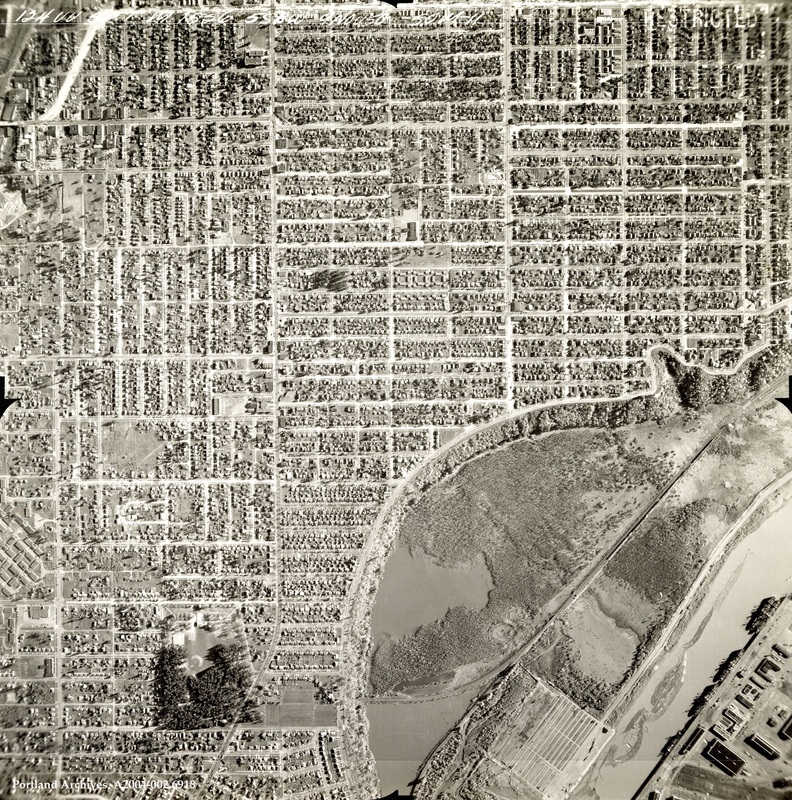 Aerial of Mocks Bottom and the surrounding neighborhoods, including University Park, Portsmouth, Kenton, Arbor Lodge, and Overlook, 1950. City of Portland (OR) Archives, A2004-002.6918. 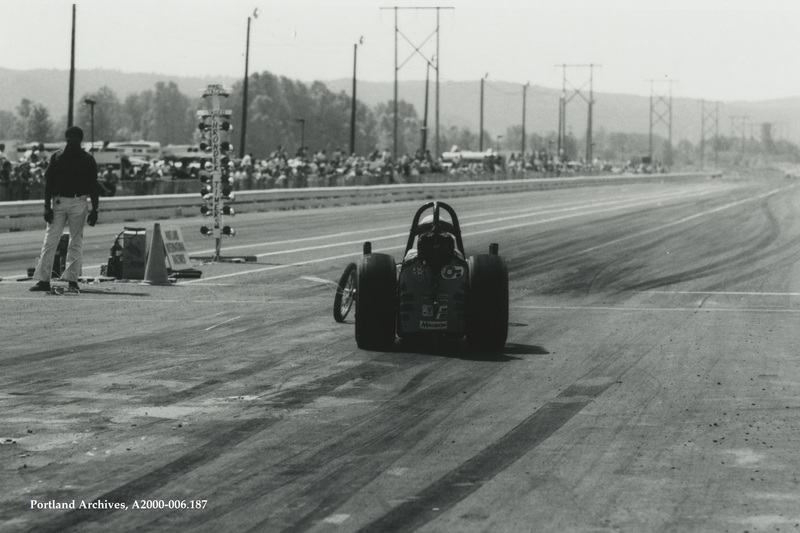 A dragster on the Portland International Raceway track, 1972. City of Portland (OR) Archives, A2000-006.187. 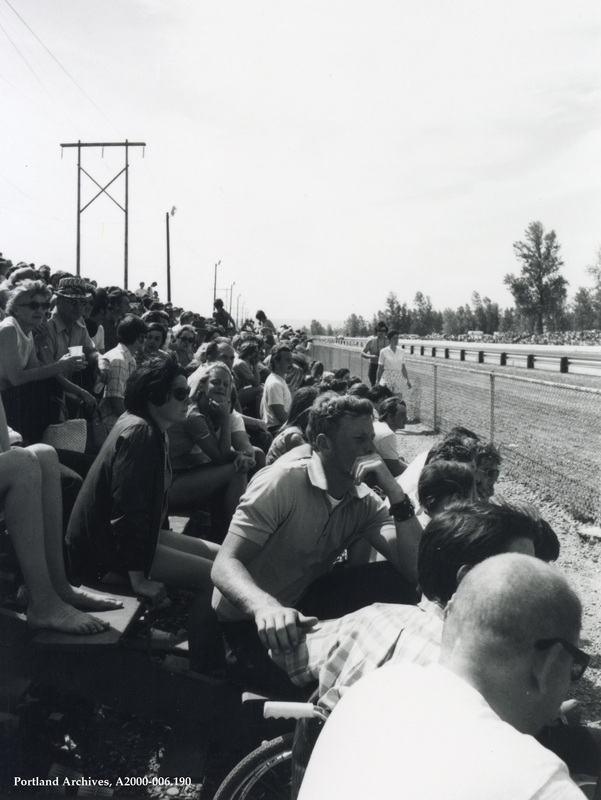 Aerial view of Portland International Raceway construction, 1971. 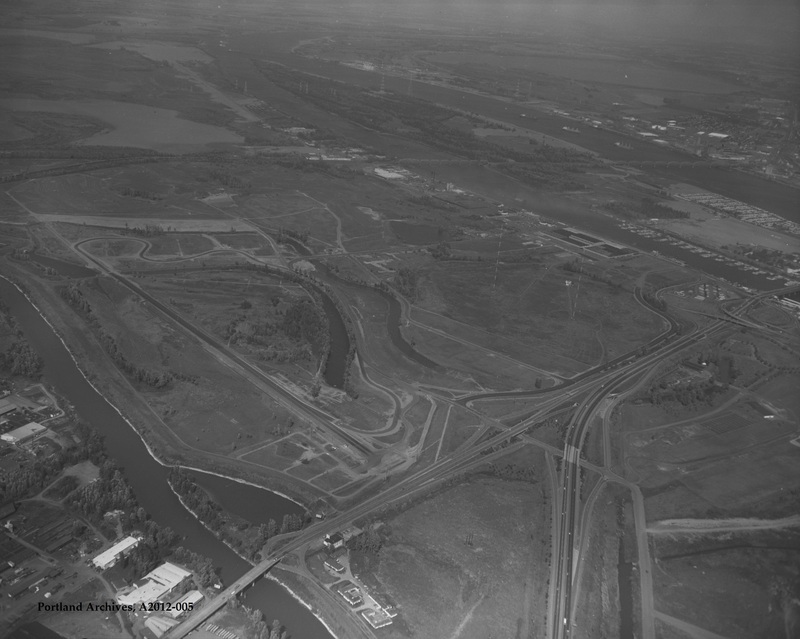 City of Portland Archives, Oregon, Aerial view of Portland International Raceway construction, A2012-005, 1971. The Union Stock Yards, November 30, 1919. The Swift & Company building, located near the Union Stock Yards, November 30, 1919. 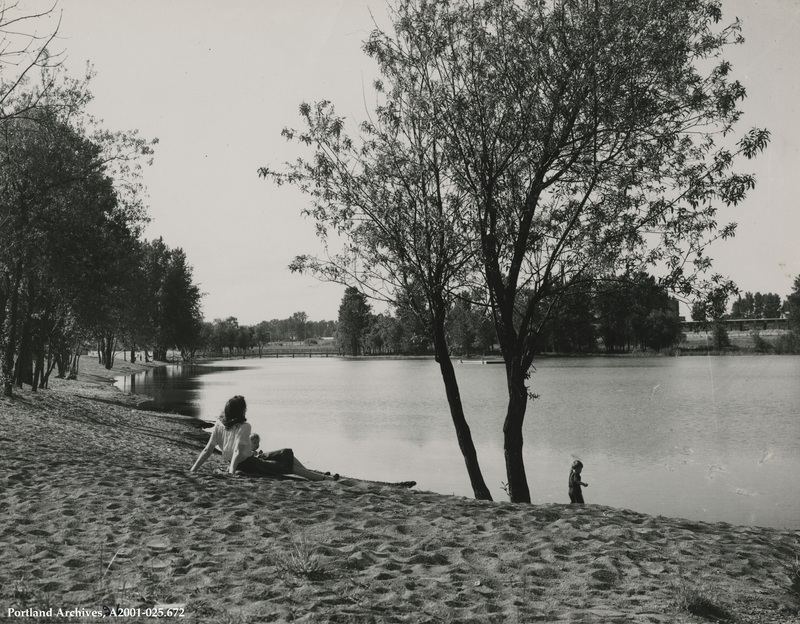 Vanport’s Force Lake shoreline, circa 1944.